Amazon clearly have their pricing wrong on this 2CD set. Buy now whilst it lasts! 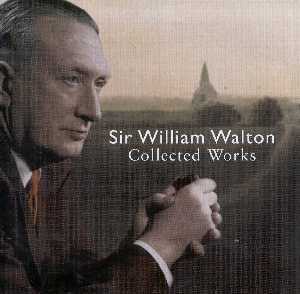 The centenary of the birth of Sir William Walton has already occasioned several commemorative issues including significant collections from both Decca and EMI, the latter a reissue on 3 CDs of the bulk of their utterly indispensible �Walton Edition�. EMI�s set, then, has the imprimatur of the composer itself. Decca�s 4-disc set has the advantage of being pretty comprehensive as regards major works and is priced very reasonably. So, can this BMG set compete, containing as it does just five works and lacking Belshazzar�s Feast? The short answer is that it can compete very well. Indeed, the quality and importance of several of the recordings included here make it arguably the most desirable and important of the centenary tributes so far issued. At the beginning of this year Norman Lebrecht argued in a rather absurd polemic in the Daily Telegraph that Walton was a composer of fairly minor significance with no works of real stature to his name and a portfolio of inconsistent quality. Let me join the list of people, most of them far more qualified than I, who have refuted Lebrecht�s specious and tendentious argument. It is true that Walton�s output, which was not enormous in any case, was somewhat uneven in quality but the overall quality must be judged in the context that several of his works were of major importance. Here was a man who wrote one of the most startlingly original of all twentieth century choral works; concertos for both violin and viola which are fit to rank among the best composed for either of these instruments in the last century; and one of the most striking and successful of British symphonies. Can such a man be written off as a failure or as an under-achiever? I think not. To begin with, the set includes what is surely by some distance the finest recording ever made of the First Symphony. There have been several other notable recordings, including the pioneering one made in 1935 by Sir Hamilton Harty and the LSO, Walton�s own very fine 1951 account with the Philharmonia and a typically searching and pointed reading by Rattle and the CBSO. However, not even these recordings have come close, in my view, to Previn�s 1966 recording. On this evidence it is small wonder that he became one of the composer�s own favourite interpreters of his music. This was, I believe, one of the very first recordings which Previn made with the LSO. This is one of those recordings where no one seems to put a foot wrong. The extraordinary first movement (one of the most dynamic in all twentieth century symphonic music, I would suggest) crackles with electricity from first to last. Previn drives the rhythms relentlessly and the LSO respond as if the rapport between orchestra and conductor went back years. The brass in particular are absolutely superb and the climaxes are shattering. No less riveting is the scherzo, famously (and uniquely?) marked �con malizia�. The biting rhythms are of the utmost complexity but are spat out with ferocity yet also with great agility by Previn and his players, outstanding among whom is the virtuoso timpanist. In the slow movement �malizia� gives way to �malincolia�. This is amongst the most passionate music ever to flow from Walton�s pen and it is here given a shatteringly intense reading, building from a flute solo of glacial remoteness (and reprised at the very end) to a turbulent, heart-wrenching climax which Previn achieves with mastery. At this point the LSO strings in particular play as if their very lives depended upon it. The finale has acquired a certain notoriety over the years. Having completed the first three movements Walton suffered from one of the most celebrated cases of �writer�s block� in musical history, to the extent that Harty was obliged to give the 1933 premiere without including the as yet unwritten last movement. Nearly two years were to pass before Walton completed the last movement and several commentators have since complained that the finale is a let down and doesn�t measure up to the preceding movements. I�m not at all sure I agree. We now know that Walton�s inability to complete his symphony had much to do with his then-turbulent love life. The markedly different mood of the finale which he eventually composed surely reflects the fact that by 1935 Walton had moved on emotionally. He had formed a new romantic attachment by this time and was much happier. Perhaps the finale was his way of saying: "I had some problems, but I�m over them now." In such a context it is perhaps easier to relate the finale to the preceding music and to accept it as a successful conclusion to the work. In Previn�s recording this movement is played with exuberance and swaggering panache. The Violin Concerto was finished four years after the symphony, in 1939. It was written to a commission from Jascha Heifetz, no less. In itself the receipt of a commission from the leading violinist of the day was surely a sign that Walton had �arrived� on the international scene. Heifetz premiered the work in Cleveland, Ohio in December 1939 and subsequently, in February 1941, he made the first recording with the Cincinnati Symphony Orchestra and Sir Eugene Goossens. (This recording, available in a good transfer on Biddulph, is well worth seeking out. Not only is it an excellent performance but it is also the only one made before Walton revised the orchestration, thinning the percussion parts in particular.) Walton revised the work in 1945 and the later version of the score was used for this 1950 recording with Heifetz. Like the Previn recording of the symphony, this is a classic recording with Heifetz giving a peerless, dazzling reading of the ferociously demanding solo part (though arguably his playing on the 1941 recording is even finer). The reason for the success of this performance is clear within a few bars. Heifetz�s wonderfully clear, singing tone is ideal for the warm, sensuous (even nostalgic) vein which pervades much of the score. And, of course, the many stretches of virtuoso passagework have rarely, if ever, been dispatched so thrillingly and so effortlessly. Yet what distinguishes this performance above all is the soloist�s positive and intuitive response to the lyrical spirit of the work (what an apt coupling was his excellent account of the Elgar concerto in an earlier issue of this recording). The more reflective, songful passages in the Neapolitan scherzo have never sounded so yearning in my experience. Walton, a much-underrated conductor of his own music, conducts with sensitivity and the performance benefits enormously from the contribution of the Philharmonia, then in their heyday. The mono recording has come up extremely well in this latest incarnation. The second CD brings another concerto recording by the artist who commissioned the work. It was the great Russian cellist, Gregor Piatigorsky, who inspired what was to be Walton�s third and last concerto for a stringed instrument. He gave the first performance of the resulting concerto in January 1957 with Munch and the Boston orchestra and the same team recorded it very shortly afterwards. This recording, while it may not be the last word on the subject, has an unmistakeable sense of occasion about it. Once again, as had been the case with his Violin Concerto, Walton was fortunate indeed that his music was in the hands of a supreme virtuoso, a player to whom technical challenges seem to be mere inconveniences and one, moreover, who is at one with the romantic spirit which lies at the heart of the concerto. Piatigorsky possesses the fulsome richness of tone which enables him to do full justice to all the many lyrical passages. Throughout he receives fine support from Munch and the orchestra, the aristocrats among American orchestras. They characterize their parts vividly though the slightly boxy recorded sound (from Symphony Hall, I assume) does not do them justice. The soloist is balanced fairly forwardly. There have been several other fine recordings of the work since this pioneering recording was set down. However, Piatigorsky�s account is a very fine one. It is highly recommendable, very enjoyable and, of course, a document of great importance. This was the only recording in this collection which was new to me and what a performance it is! From the very opening, as both soloist and orchestra impart a wonderfully veiled sound to the music, it is clear that this is to be a reading of great poetry and sensitivity. Immediately too we hear that Yuri Bashmet� s immense range of tone is just what is needed in this work. He has a nut-brown richness in the lower registers and an exquisite plangency at the top. None of the work�s myriad technical demands appear to pose him any problems, nor is there even a suggestion of the problems of intonation which marred the strained recording by Yehudi Menuhin with Walton conducting (EMI). In short, Bashmet is totally in command. He receives idiomatic accompaniment of great distinction from the LSO, reunited with their old chief. Previn was also the conductor on an earlier recording which I have long admired, partnering Nigel Kennedy and conducting the RPO (EMI, 1987). However, here he and the LSO surpass that version and, fine though Kennedy is, Bashmet is even finer, I think. I love the burnished tones which he produces in the many lyrical passages. However, he is equally successful (and fearsomely accurate) in the faster music, not least the scampering second movement. Here all concerned give a rendition which obeys precisely the composer�s injunction �con molto preciso�. As is the case in the Cello Concerto, the finale of the Viola Concerto is longer than the other two movements combined. Bashmet�s playing here is simply magnificent, as is Previn�s accompaniment. The performance is one of the utmost sensitivity and refinement; all is beautifully controlled. I can pay Bashmet no greater compliment than to say that his playing of this movement in particular strikes me as being on a par with that of Heifetz in the Violin Concerto. This is the finest recording I have heard of the Viola Concerto and for any admirer of Walton who was, like me, unwise enough not to acquire it first time round, its inclusion here is greatly to be welcomed. The sound is full and excellent. The final offering is something of a Cinderella among Walton�s orchestral works. The Sinfonia Concertante had its origins in music which Walton wrote for an abortive ballet for Diaghilev, to whom he had been introduced by the Sitwells. He recast the music into a three-movement work for orchestra and completed this in 1927. Later, in 1943, he revised it, adding �with piano obbligato� to the title. Apparently, he later regretted the revision (though this did not stop him from recording the revised version with Peter Katin for Lyrita in 1971). This present recording is the first (and so far as I know the only one) of the original score. It is a curious work, powerfully orchestrated at times and making significant demands on the pianist. Many of Walton�s stylistic fingerprints are already evident but I must confess to some uncertainty about the piece. Firstly, I don�t find the thematic material tremendously memorable. Secondly, I wonder how easy Walton found it to write for the piano. The instrument�s percussive nature brings a brittle quality to the music (I am not using the term pejoratively) but the piano cannot produce the romantic flights of fancy which occur so often in the later concertos. The music is reminiscent at times of Prokofiev or early Bartók. That said, the performance here is very authoritative. The first movement has power and dash, the second brings warmth and passion, and in the finale there is wit and exuberance a-plenty. Kathryn Stott plays vividly and Vernon Handley directs the complex orchestral part with his usual commitment and attention to detail. It would have been easy for BMG to have substituted a couple of better known short works but full marks to them for resisting such temptation and for giving us the chance to hear instead a rarity in a first class performance. I cannot detect any significant difference in sound quality between this and my copy of the original Conifer release; the recording is full-bodied and warm. This collection is a most worthy centenary tribute. All five recorded performances are from the top drawer and in my opinion three are �best buys�. The set is an ideal introduction to Walton�s music and is mandatory listening for all those who are already devotees � and for Norman Lebrecht! A real bargain which is strongly recommended.